This wonderful modern design combines the Star of David as well as a large, connected word- Chai, which means Life, What a wonderful necklace by Ben’s jewelry, making a terrific gift as well as a good addition to your own jewelry box. An appreciation for the value of life is the thing that will keep you a happy person, since who appreciates every minute and every second and every hour more than the person who loves life as it is and appreciates that it is a gift to be able to stand on this earth and breathe in the fresh air and for the most part be healthy and loved by his friends and family? There can be nothing more happy than to have the breath of life implanted in us as a gift from God, and wearing such a sentiment on a piece of jewelry is a wonderful way to remind yourself of the beauty of life. As beautiful, in fact, as the necklace, a gorgeous Ben Jewelry Contemporary design with the hebrew word for life, ‘Chai’. 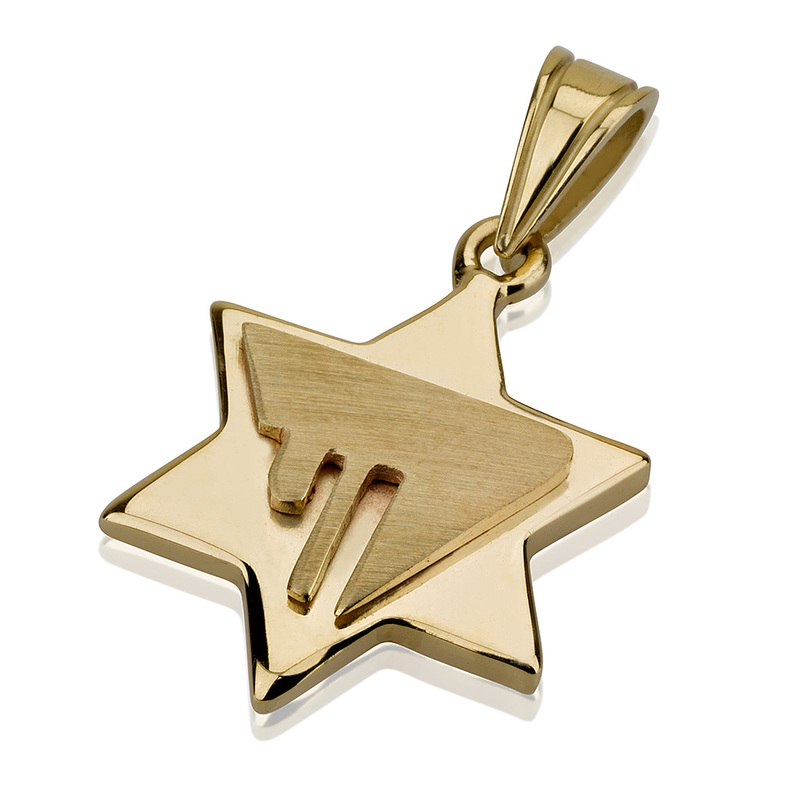 It’s made of 14K gold and also features the star of david in the background.